As Corporate Vice President, Customer Experience, Chief Information Officer and Chief Digital Officer, Marc leads the IT, Digital and Innovation organization to design and execute mission-critical business transformation programs. Working in close coordination with Sealed Air divisions, R&D and other functions, he is key to articulating and driving Sealed Air’s digital strategy. This strategy will lead to new business opportunities and generate revenue growth by applying new, even disruptive, technology products, services and solutions to meet customers’ needs. In addition to fueling innovation, Marc is responsible for Sealed Air’s IT systems and assets globally, ensuring that technologies align with the objectives and priorities of the business. He is also responsible for the process improvement, automation and digital initiatives throughout the company to streamline operations and improve bottom line profitability. 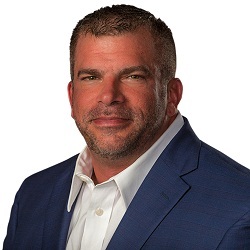 With more than 20 years of IT leadership experience, Marc has worked in a variety of industries covering energy and environmental technology, biotechnology, international aerospace and defense, and government security. Throughout his career, he has successfully led all facets of IT, including large-scale technology rollouts, implementing new business concepts and delivering innovative business solutions. Marc also sits on Advisory boards for Insight Venture Management and FireMon and has been published numerous times in technology and business journals.